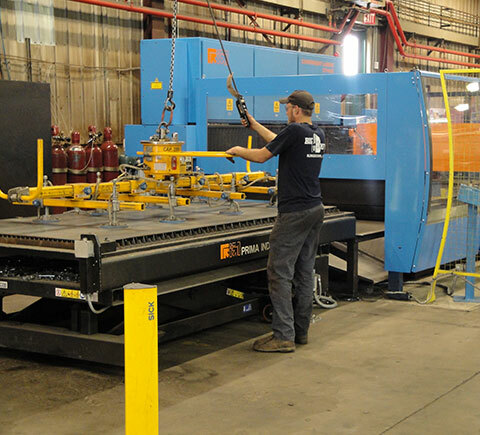 Working closely with our machining and our fabrication departments is our material processing department. We can handle all your processing needs up to a plate size of 12" x 96" x 240" plates and up to 30" in diameter material. Additionally, our 16' x 40' abrasive blast room and 18' x 40' paint booth are up to the task of finishing your final product.